- 3D Surround Sound: Patent-pending technology, amazing audio on any headphones. - 29 Handcrafted EQ Presets: Dubstep, pop & many more presets. 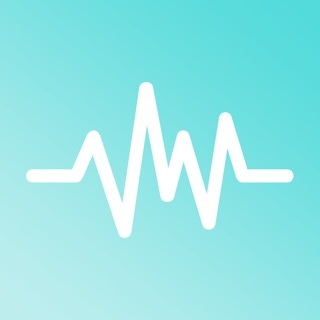 - Stream Spotify & Tidal with Boom: Incredible listening experience from the leading streaming services. - Multiple Library Access: Access phone music and music stored on Dropbox & Google Drive too! 1) Free Trial period extended to 7 days! Exceeded my extremely low expectations! I’m familiar with virtual surround sound with gaming and I think it works great for what it is. Not sure how it would work with music so I came across this app which is free for like 5 days. Plenty of time to test it. I didn’t really know the difference at first. I could tell there was a difference just not sure what. So I was starting to wonder if this was a gimmick after listening to a whole album of one of my favorite bands. I then started to listen to the same album without the Boom effects or app. I couldn’t even finish the first song without wanting to go back to the Boom app effects. It definitely sounds more full and it is easier to pick up multiple sounds and voices distinctly. 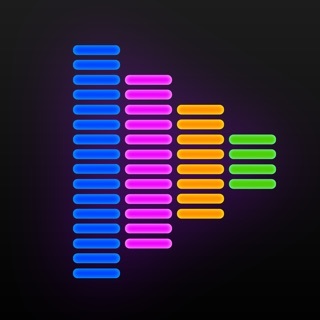 I am using this app with my Beats Solo 3 headphones. On some songs the bass got too heavy for what my headphones could handle so I had to adjust the EQ a bit on some songs but treble is awesome on my headphones so everything else was amazing. I’ll have to test it on other headphones I have. Overall definitely worth trying and definitely worth a one time purchase of $4.99. I got it on sale for $2.99 on Black Friday. Even better! You will never want to go back to 2D music after using this. Quit asking to “restore” after every update!! Great app! But it mis alphabetizes all of my Music Libray. All music groups who’s name starts with “The” are all lumped together under, THE, under the t’s, (ex. The beatles, the cure, the rolling stones, the B52’s, etc...) as opposed to where they should be alphabetized. ALSO, EVERY TIME I JUMP BACK INTO MY LIBRARY FROM WHERE I AM (when in “Album” view, not in “Songs” view)IT DOESN’T TAKE ME BACK TO WHERE I JUST WAS, BUT INSTEAD, IT TAKES ME BACK TO THE VERY TOPMOST OF MY WHOLE MUSIC LIBRARY, BACK TO THE A’s...and this sometimes frustrates me so much, that the time killing of it forces me to switch to another music app, (as there isn’t the little “alphabetical sidebar”, as in “songs” view, that allows you to tap on the starting letter of the musical group, a,b,c, etc., to get you there quicker). Other than that, this is a pretty decent app, and has great sound possibilities and customization, and I use it now quite often, but not as much as my favorite music app, which is the FANTASTIC, EQ10...also, the squeezing of album art is another issue, but overall, its not that important...keep up the awesome work! ...about "problems" with this app. But the issues I keep seeing them complaining about CANNOT be fixed by the developers! Listen up!!! APPLE controls access to files with DRM, not the developers. I love this app, and I'll admit there are problems. For example, I'd love it if I could set Boom as the default player for music. At any rate, before you go off half-cocked and make a complaint, make certain you've got your facts straight. For example, if the program is crashing a lot, but you don't see a lot of reports about crashing from other people, it's probably an issue with YOUR device. Additionally, devs usually fix crashing issues pretty quickly if they effect a number of people. To fix a problem like a crash, they have to be able to track down a problem. I'm running Boom on three iOS devices, almost daily, and it's never crashed on any of my devices. I personally give this app two thumbs up, five stars (GOLD stars!⭐️⭐️⭐️⭐️⭐️) and I highly recommend it because it makes all my non-DRM music sound so much better! I barely ever use the Apple music player at all. I even use Boom when I'm listening in my car, and it makes my music sound richer and more full, even over my stock car speakers. Hey, thank you so much for your kind words. Your positive feedback is what drives us create many more great products for our users. Our team is thrilled to know that we could make a difference to you with our product. We assure to deliver you many more amazing features with the app in the future. Could you please write to our Support Team (boomios@globaldelight.com) so that we can contact you.